ISNS is an International Baccalaureate school from K to Grade 12 (PYP, MYP and DP). 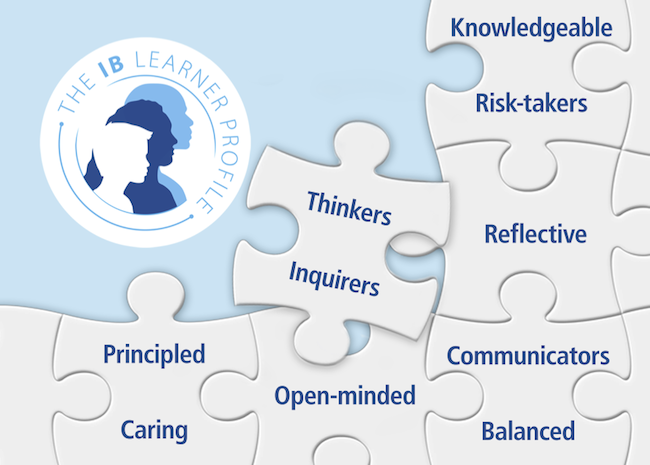 At the core of the IB is the Learner Profile that shapes and guides learning in our school. The Learner Profile demonstrates all that we do at ISNS: it is the backbone of academic, social and emotional development. It is important that every student at ISNS strives to demonstrate the learner profile in their daily life. We foster our curiosity, emerging skills for inquiry and research. We know how to learn independently and collaboratively. We learn with enthusiasm and sustain our love of learning throughout life. We develop and use conceptual understanding, discovering knowledge across a range of subjects. We engage with issues and ideas that have local and global meaning. We use critical and creative thinking skills to analyze and take responsible action on challenging problems. We exercise initiative in making reasoned, ethical decisions. We critically appreciate our own cultures and personal histories, as well as the values and traditions of others. We seek and assess a range of points of view, and we are willing to grow from experience. We show empathy, compassion and respect. We have a commitment to service, and we act to make a positive impact in the lives of others and in the world surrounding us. We foster a nurturing environment where students feel safe to take risks and challenge conventions. We understand the importance of balancing different aspects of our lives—intellectual, physical, (spiritual) and emotional—to achieve well-being for others and ourselves. We recognize our interdependence with other people and with the world in which we live. To understand ourselves we reflect on and observe the world around us.